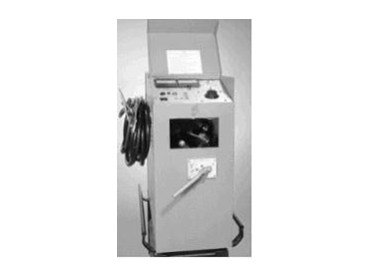 Hipotronics CF series testing systems operate from 120 V ac line or as portable generators (220 V ac is available as an option). The model CF70-12 cable fault locator is a 25 kV, 12mF thumper and the CF70-24 is a 25kV, 24 mF thumper. Both units combine a 70 kV dc proof tester, a 100 mA burner and a capacitive discharge fault locator (thumper).